Tesla attempted to forge ahead as a quartet, but the chemistry had been irreparably altered by Skeoch's exit, and they broke up in 1996. Most of the bandmembers began playing with smaller outfits, none of which moved beyond a local level. When Skeoch's health improved, however, the band staged a small-scale reunion in 2000, which quickly became a full-fledged effort. In the fall of 2001, the group released a two-disc live album, Replugged Live, which documented their reunion tour. Into the Now, which was co-produced by Michael Rosen (Testament, AFI), appeared in March 2004. A collection of '70s covers called Real to Reel arrived in 2007, by which time Skeoch had left the band once more and been replaced by Dave Rude. 2008 found the revised band releasing its seventh studio album, Forever More, an all-new collection of songs that saw the musicians reuniting with producer Terry Thomas, who had previously helmed 1994's Bust a Nut. 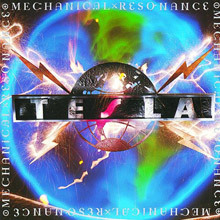 Sacramento's oddly named Tesla (a moniker inspired by renegade inventor and pioneering electrical engineer Nikola Tesla) took the side door to '80s hard rock success, sneaking up on the charts and into the bedrooms of none-the-wiser glam metal consumers with their rock-solid debut, Mechanical Resonance -- itself titled after one of Nikola's better-known experiments, and a fascinating case study in musical compromise if ever there were one. Essentially, the album was partitioned into two quite different halves, with side one predominantly tailored to seduce the aforementioned music fans via radio-friendly templates and therefore packed with mostly throwaway, cliché-ridden arena anthems like "EZ Come, EZ Go," "Cumin' Atcha Live," and the gloriously dumb "Rock Me to the Top," boasting few surprises but plenty of testosterone. Yes, a few hints of Tesla's substantial songwriting intelligence can be glimpsed within the gritty strut of "Gettin' Better" and the bluesy balladry of "We're No Good Together," but most of the band's more mature and accomplished songs are saved for Mechanical Resonance's revelatory side two. Here, lead guitarist Frank Hannon really takes charge and establishes himself as the band's de facto difference maker, beginning with an epic of Led Zeppelin-like class and complexity in "Modern Day Cowboy," which was built upon a lopsided riff so irresistible that not even its finger-twisting complexity could keep it from becoming one of their most popular standards. 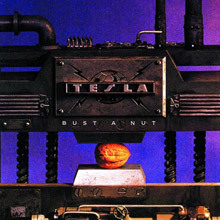 This was followed by another pair of eventual fan favorites doubling as good examples of Tesla's creative range, since the wintry drama of the piano-laced "Changes" stood in stark contrast to the upbeat summer vibe of "Little Suzi." And finally, as though the aforementioned detours didn't proffer enough food for thought, Tesla even flirted with art rock on the odd rhythms and clever economy of "Cover Queen," before concluding with the desolate sobriety of closer "Before My Eyes." Given all these qualities and contrasts, it's no wonder that Mechanical Resonance stood out as one of the 1980s' most eclectic hard rock albums, and provided a formidable introduction to one of the era's most underrated American bands. 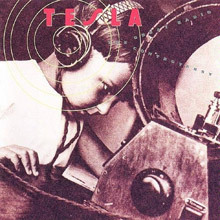 One of the band's best albums, The Great Radio Controversy retains the typical big-sounding production and anthemic hooks of '80s pop-metal, but Tesla adds a grittier, bluesier edge to their music than most of their peers. As on most of their records, Tesla's songwriting is consistently good but never quite great; however, "Love Song," "The Way It Is," and "Heaven's Trail (No Way Out)" are among their best, with melodies and riffs that aren't predictable, cookie-cutter product. The Great Radio Controversy broadens the sound of Mechanical Resonance somewhat with increased use of acoustic instruments, which provides more textural and dynamic contrasts, and the weaker moments are still enlivened by the twin-guitar attack of Frank Hannon and Tommy Skeoch. All in all, a fine effort. Psychotic Supper benefits from a more stripped-down production than The Great Radio Controversy, using fewer overdubs and thereby enhancing Tesla's bluesy, acoustic-tinged rock &amp; roll. Going over the top was never what Tesla did best, and Psychotic Supper shows enough variation and occasional understatement to retain the listener's interest. Many of the band's best songs are here, including "What You Give," "Call It What You Want," "Song and Emotion," and "Edison's Medicine"; the latter is perhaps the most typical of the pop-metal anthem sound, but its subject matter -- the attention paid to Thomas Edison over lesser-known genius Nikola Tesla, to whom the band is obviously devoted -- certainly qualifies it as distinctive. The guitar workout on "Don't De-Rock Me" is another highlight. 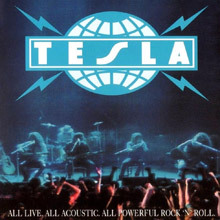 Comparisons to MTV Unplugged tend to be thrown around in an attempt to promote any pre-Unplugged acoustic music by linking it with a successful, more contemporary phenomenon, but Tesla's Five Man Acoustical Jam was actually a legitimate predecessor of the trend -- it bears a strong resemblance to early Unplugged sessions in its informality and sense that the band is just having fun. Perhaps more importantly, the fact that a cover of the Five Man Electrical Band's "Signs" became a Top Ten hit demonstrated that acoustic rock &amp; roll -- not just ballads like Guns N' Roses' "Patience" or Extreme's "More Than Words" -- could find acceptance and commercial viability with rock audiences. As for the musical results, Tesla's originals generally translate well to the acoustic format, though some of the jams tend to ramble and lose focus, a fact underscored by the tightly melodic covers of '60s classics like "Lodi" and "Mother's Little Helper." 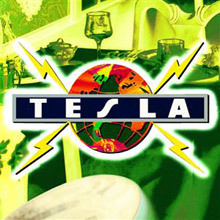 Still, this adds to the informal atmosphere, and the album is a nice change of pace from the rest of Tesla's catalog. 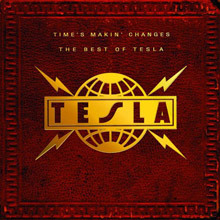 Tesla's greatest hits and most popular album rock cuts are collected on Time's Makin' Changes: The Best of Tesla. In addition to hits like "Signs," "The Way It Is," and "Love Song," the compilation includes a new song, "Steppin' Over," which isn't particularly distinctive. Nevertheless, the record remains the one to get for casual fans -- it has all the hits, in one place, after all.